Importada. U$ 21.013,40. Res CampeA PCCHA Fall $100.000 Non Pro Futurity, 3o.L $200.000 Ltd Non Pro e 3o.L $50.000 Amateur; 4o.L Brazos Bash Open Futurity; finalista West Texas Open Futurity. - SHEZA SMOOTH EDITION (f/ Smooth As A Cat) U$ 21.013,40. Res Campeã PCCHA Fall $100.000 Non Pro Futurity, 3oL $200.000 Ltd Non Pro e 3oL $50.000 Amateur; 4o. L Brazos Bash Open Futurity; Finalista West Texas Open Futurity. - CATS SPECIAL 005 (f / High Brow Cat) U$ 17.822,00. 4o. L NCHA $3.000 Novice Top ten; Campeã ncha Area 24 $3.000 Novice. - ANNIVERSARY CAT (f / High Brow Cat) U$ 14.894,00. Res Campeã Brazos Bash Ltd Open Classic; 3o. L Western States Fall Open Classic; Top 12 NCHA $ 3.000 Novice. - PG SPECIAL EDITION ( f / Playgun) Acima. - PG MAXIMUS ( m / Playgun) U$ 82.337,00. 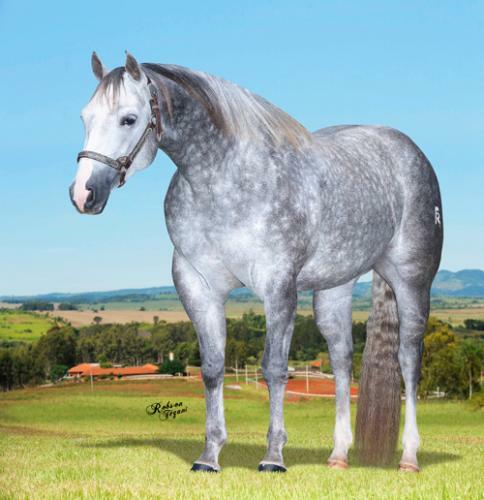 Res Campeão Memphis Non Pro Futurity; Res Campeão "The Non Pro" 4YO Non Pro; Res Campeão Oklahoma Non Pro Classic; 4o. L Abilene Non Pro Derby; 5o. L Bonanza Non Pro Derby. - PG MISS MAX ( f / Playgun) U$ 43.165,00. Res Campeã NCHA Non Pro Derby; finalista Memphis Open e Non Pro Futurity, Augusta Non pro Futurity, Western Horseman Non pro Cup. - PG MAXIMILLIAM ( m / Playgun) U$ 21.967,00. finalista NCHA Amateur Super Stakes. - PG BLUE MAX ( m/ Playgun) Produtor no Brasil.